The ET9011C 365-Day Astronomic Energy Control enables independent programming for each day of the year to provide flexibility for applications where load switching differs frequently. The time switch provides dependable and uncomplicated performance, plus to-the-minute programming for accurate load control and reduced energy costs. Holiday or exception programming is available to allow temporary overrides of repeating schedules. 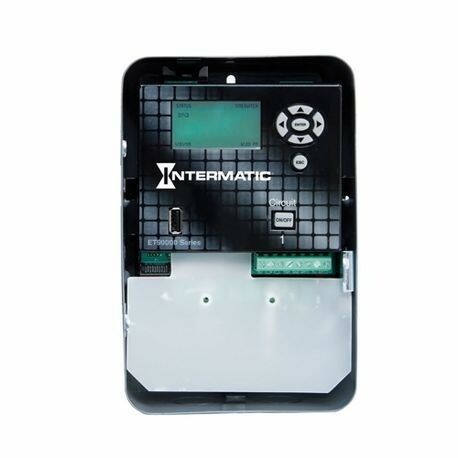 Control buttons provide manual control of each circuit independently, regardless of the operating mode. The time switch features a 100-hour supercapacitor to provide time keeping and automatic carryover without the need for a battery. External devices, such as wall switches and occupancy sensors, can be used as input signals to the time switch, allowing a manual ON, timed OFF capability. Programming is simplified by a USB port for easy copying and backups.